Left to right: Bishop Kevin Doran, Bishop of Elphin and Bishop Liam MacDaid, Bishop of Clogher and Chair of the Council for Marriage and the Family. 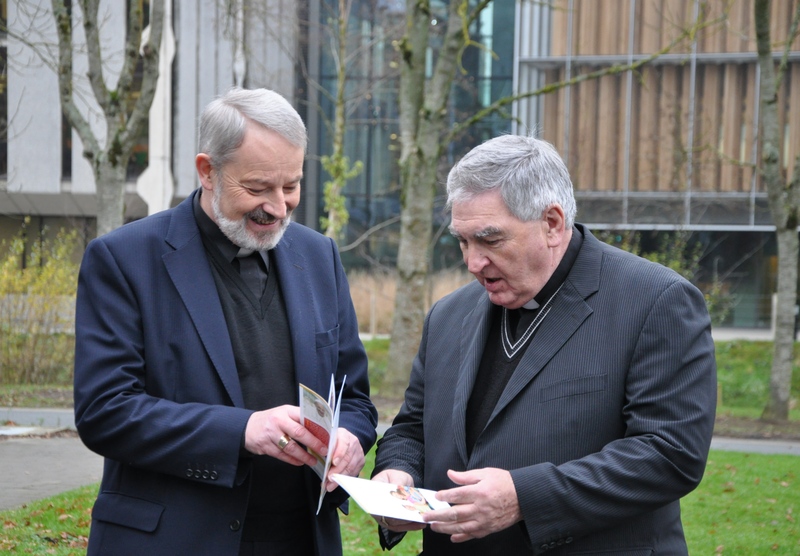 At a media conference on 3 December 2014 at Columba Centre, Saint Patrick’s College, Maynooth, Bishop Liam MacDaid, chairman of the Council for Marriage and Family, along with Bishop Kevin Doran, Bishop of Elphin, officially launched the pastoral statement The Meaning of Marriage on behalf of the Irish Catholic Bishops’ Conference. Click below for audio from the media conference. Click here for the remarks of Bishop Liam MacDaid and Bishop Kevin Doran at the media conference. Bishops encourage everyone to read The Meaning of Marriage which is currently being distributed to over 1,300 parishes throughout the island. and in the life and worship of our parish.